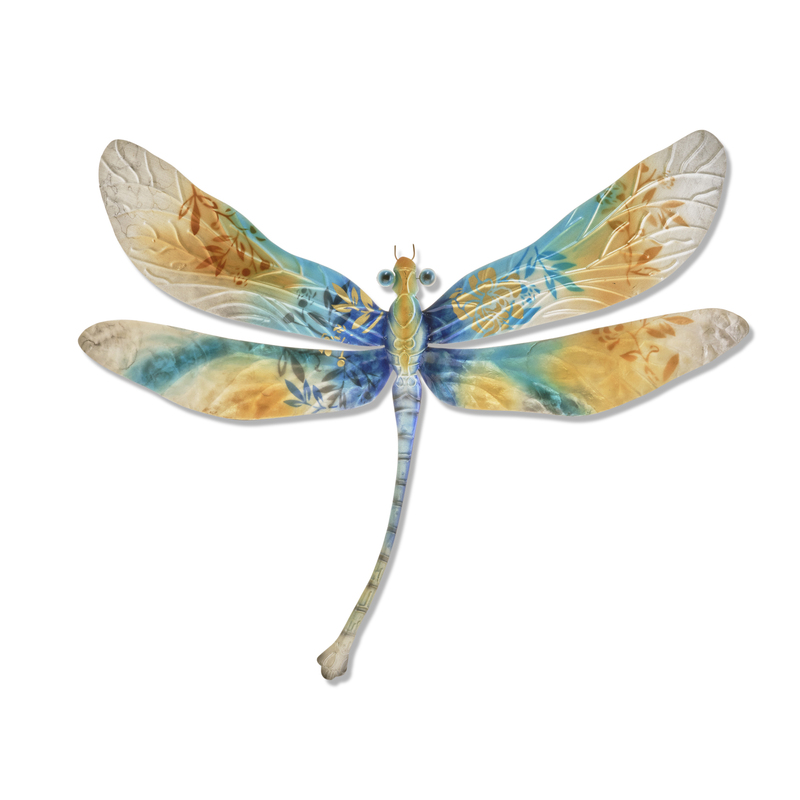 Reflecting the natural greens and blues of the nearly translucent dragonfly wings, the artist uses a base of capiz shell on the lower wings to embody the almost ephemeral structure. 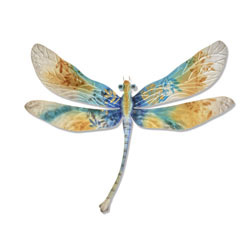 The upper wings feature a hand etched pattern mimicking the texture of a dragonfly�s organic wing structure. The blues and greens continue down the body creating a lively and colorful piece.